Hey Iqalungmiut: ever dreamt of a locally bottled brew after a long day hunting or boating or sitting in your poorly-lit government cubicle? Icy-fresh Arctic beer might be coming to an Iqaluit bar or restaurant near you one day soon. The Nunavut Brewing Company Ltd. presented plans to Iqaluit city council June 23 for getting their frothy golden idea off the ground. “We’re representing a group of investors who have thought about, and are actively pursuing, the development of a business plan to open a craft brewery in Iqaluit,” said Sheldon Nimchuk, of the would-be brewing company, in a presentation to councillors. 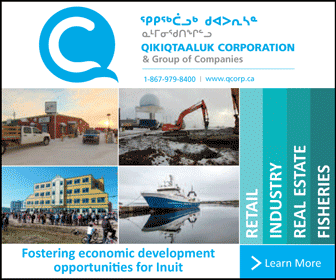 Five investors are interested in starting the brewery in Iqaluit, he said, and it will require about $3 million in capital. The company already has a couple parcels of city land in mind for the actual brewery, he said. But don’t get too excited yet, Iqaluit beer lovers — Nimchuk warned they’re a long way from bottling their first brew. Navigating through bureaucratic red tape is the first task. “We’ve investigated the legislative requirement that does permit such a consideration [of a brewery]. And in fact that process is being brought forward to the city from the liquor board as we speak,” Nimchuk said. “Within the legislation it permits consideration of an actual brewery. So we would actually be brewing the beer here, and manufacturing and making the beer here,” he said. Building plans need to be sketched out and the group obviously needs approval from the right authorities. Nimchuk said the Yukon Brewing Company serves as an inspiration. “Speaking with the gentleman in the Yukon, when they started in 1997, they were likely where we are today. But fast forward to 2015 and they’ve been able to gain between 60 and 70 per cent of the market share,” Nimchuk said. That means pushing bland, generic, mainstream beers off the shelf and replacing them with locally-brewed suds. It would be great for the local economy, Nimchuk said. The brewery would create jobs, pay taxes to the city and would operate a bottling plant so they could reuse the bottles — not cans. Nimchuk said they might even consider bottling water and specialty drinks as well. Coun. Terry Dobbin said this is a “win-win situation.” The brewery replaces beer coming into the territory, and creates economic activity. Then he asked what the community would get out of this relationship. “While we haven’t established a percentage yet to what would be dedicated, we see that as a fundamental part of the business plan, that sponsorship for activities,” Nimchuk said. “We fully anticipate to be a contributor to responsible consumption and awareness programs in addition to the sponsorship to community activities,” he said. Also, beer isn’t that threatening, argued Dobbin. “I’ve never ever seen anybody get hurt from drinking beer. Maybe getting a beer belly and getting fat. That’s it,” Dobbin said. Coun. Simon Nattaq seemed happy with the presentation. He said the brewery might help eliminate bootlegging. “There’s a lot of bootleggers and we’re trying to stop them,” Nattaq said through an interpreter. “I’m sure your business plan will help in stopping bootleggers,” Nattaq said. “All five of us are members of the community. A project like this is a big investment in the beginning and it’s an investment in the community that’s going to be probably a very slow rate of return,” Dean said. “So we have the community in mind with a product like this,” Dean said. City council is required to give support to the brewery before the liquor board can even consider holding consultations — but that happens this fall, Nimchuk said. The company’s presentation June 23 was just an outline of their intentions — the issue comes back to city council mid-July for further discussion. But looking long-term, the Nunavut Brewery Company has its sights set on exporting their products outside the territory. “To me that’s the most exciting thing about the project is taking something from here and sharing it with the world,” Dean said.